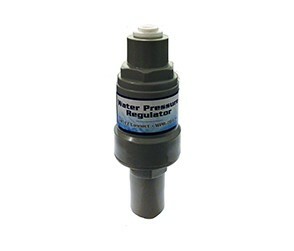 A small, simple and important device for protecting your Countertop or Undercounter drinking water filter from high water pressure damage. 1. Protects from pressure above (60PSI). 2. Protects from pressure spikes/surges. 3. Protects from water-hammer effect. 4. Can protect other appliances which use 1/4" diameter water line (e.g. fridge/icemaker line, etc). 6. Helps prevent costly flood damage.